GE Additive launched its Manufacturing Partner Network (MPN), an open and competitive marketplace to accelerate supply and demand for additive manufacturing. It also welcomed its first three Manufacturing Partners (MPs) in the form of Proto Labs Inc., Carpenter Technology Corporation & Burloak Technologies. The Manufacturing Partners will be GE’s additive manufacturing partners which will help the customer to make 3D printed parts in bulk volume. GE Additive found a unique solution to address several commercial challenges to take AM to the next level. Through the MPN, it is creating an entire ecosystem to provide AM solutions for customers. As new and new companies try to incorporate additive manufacturing solutions into their workflow they often face common problems like limited access to equipment, funding to invest and expertise. So, while AM offers cost-efficient and time-efficient solutions, the companies are tied due to the overarching problems. While Additive manufacturing companies seek to build long-term businesses in order to invest in their systems, the OEMs are seeking a guaranteed source of capacity to continue investing. Direct demand generation through a network of OEMs and revenue opportunities generated by GE Additive’s sales teams. Knowledge sharing across the network. This includes access to over 150 AddWorksTM consultants and technical support. New GE Additive technologies and innovation will be made available to MPs for testing and feedback shared will be incorporated into future product development. Co-marketing support and campaigns, including permission to use the GE monogram on all sales, marketing and promotional materials, communications channels and buildings. As a part of the MP agreement, Protolabs has committed to invest in GE Additive products like equipment, materials, software, and technology and use them as a development platform, to scale production and industrialization of all work referred through the MPN. Becoming a Manufacturing Partner (MP) builds on Protolabs’ strategy to continue to grow its technology-agnostic service model approach, offering the broadest set of digital manufacturing technologies at unprecedented speed and scale. Protolabs continues to expand its manufacturing capacity with the addition of new additive equipment. GE Additive also welcomed US-based Carpenter Technology Corporation to the Manufacturing Partner Network (MPN). Carpenter Technology Corporation is a recognized leader in high-performance specialty solutions for applications in the aerospace, defense, transportation, energy, industrial, medical, and other markets. 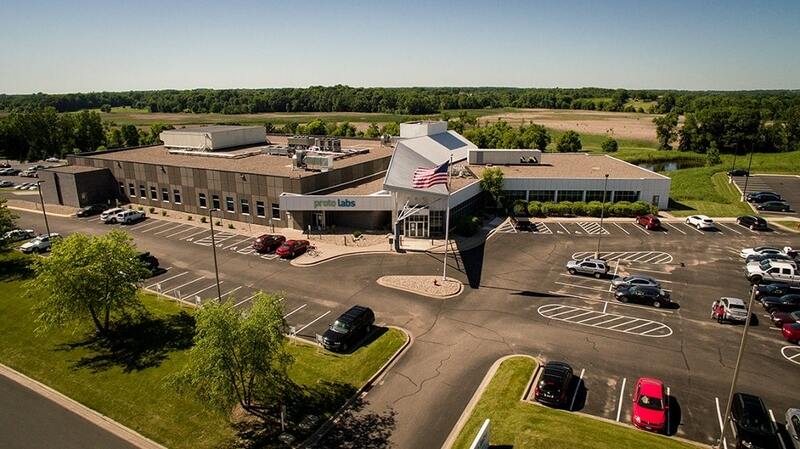 As a Manufacturing Partner (MP), Carpenter Technology will expand its leadership in the industry by offering end-to-end solutions through the development and deployment of Additive Manufacturing (AM) technology to include powder materials, part printing, post-processing including hot isostatic press and vacuum heat-treat technology, and other services. GE Additive signed a Memorandum of Understanding (MOU) with Canada-based Burloak Technologies and welcomed it to the Manufacturing Partner Network (MPN). Burloak Technologies is Canada’s leading supplier of highly engineered additive manufactured components for demanding applications. By becoming a Manufacturing Partner (MP) Burloak Technologies wants to fuel its future growth strategy and its evolution into a world-leading manufacturer of highly engineered additive components. The company is working with its customers to move additive manufacturing from a prototyping technology to a production technology. As part of the agreement, Burloak has committed to invest in GE Additive equipment, materials, software and technology and use them as a development platform, to scale production and industrialization of all work referred through the MPN.